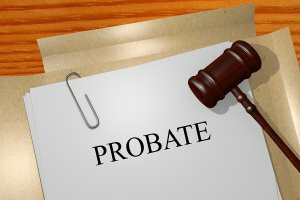 Probate is generally described as the process whereby the assets of a deceased person (the Decedent) are judicially confirmed as the rightful property of the surviving heirs. Put another way: When a loved one passes away, often it is necessary to have a court confirm the ownership of substantial assets, even where there is already complete agreement between the surviving family members. The probate process may include judicially approving the Decedent’s Will as valid and enforceable. To illustrate the need for probate: If a Decedent owned an interest in a house, then it’s important that the heirs’ ownership of the house be “quieted.” If this is not done, then it’s almost inevitable that, sometime in the future, the house will be placed for sale, and the buyers (or their lender) will require a title policy on the house. But without the Decedent’s interest in the house being confirmed in the Sellers’ names, no title company will issue a title policy in connection with the sale. Where there exists a Last Will and Testament, the probate process usually results in an “executor” being appointed to oversee the final distribution of property of the estate. This executor may be authorized to create a deed in order to put real estate into the name of the beneficiaries. Likewise, the executor may also transfer to heirs automobile titles and other personal property. Where there is no Will, then it may be necessary to apply Texas law for intestate succession rules. This is most often done through a procedure called a “Proceeding To Determine Heirship.” A proceeding to determine heirship is only required when the Decedent passes without a Will but there are assets which need to be distributed. In this procedure, the Court will declare who the rightful heirs of the Decedent are as well as what percentage of the estate each are entitled to. This procedure is more costly than the relatively inexpensive probate involving the submission of a well-drafted Last Will and Testament. Sometimes there are disagreements or issues which require more than merely admitting a Will to probate, or determining the rightful heirs. For example, if there are issues about the validity of the Will itself, then an objection to the probate of the Will may be filed. In this case, the estate is now involved in a formal lawsuit and the rules of procedure are going to be followed. These rules include extensive discovery, motions hearings, and finally a hearing to consider the objection itself. If the objection is sustained, then the Will is not admitted to probate, and another Will must be submitted, or, alternatively, an heirship proceeding instituted. Even if the Will appears valid on its face, sometimes it is argued that the events surrounding the signing of the Will call for the need to challenge it as void (since it does not reflect the true intent of the Decedent or Testator). Sometimes, there an issue of who may control, or oversee, the management of the probate estate. If a Testator’s Will names a person as executor, but the beneficiaries object to the person serving as executor, then the Court will be required to consider such objection and then determine if the named executor is somehow unsuitable. Similarly, if an executor is named, but fails to perform his or her duties, or fails to follow the provisions of the Will, or, worse, applies property for the executor’s own self-interests, then beneficiaries can sue the executor in order to have the Court appoint an alternate. Estate property is used to pay off each claim in a preceding class before moving down to the next class for payment. If the estate property is exhausted prior to reaching the final class of claims, then those creditors do not get paid. Whenever things are not going the way you want them to go, or whenever there are concerns that dishonesty is threatening your inheritance, it is always wise to retain competent counsel to represent your interests in probate court. Moreover, if you have a loved one who has passed and are desiring to have their estate probated, an attorney will likely be of great benefit to you and your family. The Law Offices of Andrew J. Bolton, Esq. provides personalized attention and effective legal advocacy services to clients throughout The Woodlands. Call us at (936) 435-1908 to discuss your probate or estate planning needs.